PRICE REDUCED! Blocks from downtown Brenham on corner Main St lot. 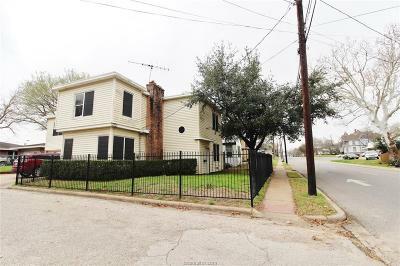 Spacious 3 bedroom, 2 bathroom home with zoned central heating and air plus bonus 4th bedroom and/or gameroom with window A/C unit above garage. Corner lot with parking on side and one car garage and carport.